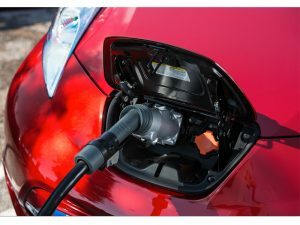 The Office for Low Emission Vehicles (OLEV) has published a document outlining details of the new grant schemes for installing EV charging points at workplaces. Workplace Charging Scheme applicants can apply for a contribution up to £300 per socket. Announced last month, the Workplace Charging Scheme (WCS) forms part of a £35m package of funding to boost uptake of ultra-low emission cars and scooters. The newly published document outlines that applicants can apply for a contribution up to £300 for each socket up to a maximum of 20 across all sites. The scheme is open to registered businesses, charities and public sector organisations in England, Wales, Scotland and Northern Ireland. Applicants within a franchise can apply for the scheme but this is limited to 20 franchises. Applicants must be able to declare a need for electric vehicle charging equipment or an intent to encourage uptake among their staff and/or fleet. They also need to have dedicated off-street parking for staff and/or fleets, and own the property or have consent from the landlord for chargepoints to be installed. OLEV also specifies that applicants must maintain the charge point for a minimum of three years and ensure measures are in place to provide usage data. Applications need to apply to the DVLA through a PDF application form that will be available from 21 November. Successful applicants will be issued with a unique identification voucher code via email, which can then be given to any OLEV-authorised WCS installer. Installations and grant claims must take place within 120 days of the date of issue of the WCS voucher.